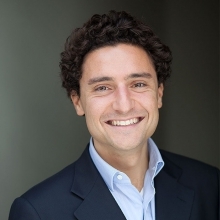 On Wednesday 17 April, Damiano de Felice, Director of Strategy at the Access to Medicine Foundation, will speak at the 2019 PQMD Global Health Policy Forum in Geneva, Switzerland. Damiano will join the panel discussion ‘Microbial Threats 101: What’s Mine Is Yours’. 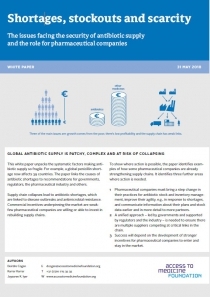 Since the emergence and/or re-emergence of SARS, H1N1 influenza, MERS and Ebola, many public and private-sector leaders have seen a need for improved management of global public health emergencies. The consequences of such events on health, education, commerce, transportation and beyond, have increased interest in building coordinated global responses to infectious threats, many of which could globally disrupt health and markets. In the panel discussion, Damiano will discuss some of the major microbial threats facing us in the next decade: the risk of complacency following recent successes on "the big 3" (HIV, malaria, TB), increasing consolidation of the pharma industry for infectious diseases and weak markets and supply chains for antibiotics. The PQMD Global Health Policy Forum is designed to inspire transformational thinking and facilitate a dialogue on strategies and solutions for multi-sector engagement, partnership development, and key success factors in addressing the role of donations in advancing greater access to healthcare.